Boost beauty and zone-out time with helpful solutions to improve your soaking-and-shaving rooms. 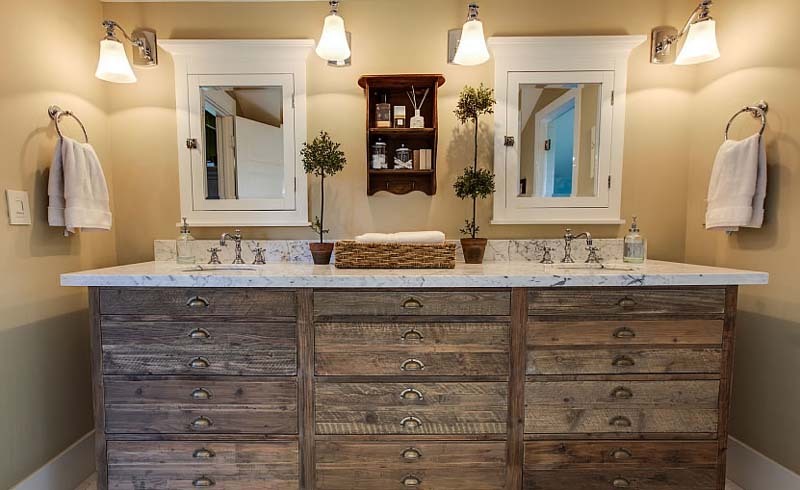 You’ve probably got a shelf or storage unit in your bathroom, and that’s a prime spot for a small portable lamp. Find one with adjustable lighting so you can change the illumination levels based on time of day. These new entries into the home bathroom offerings are particularly well suited for modern spaces or compact square footage. A shimmering fixture with crystals helps bounce light in a space. They’re a must for kitchens, of course, but strip lights on the underside of lower bath cabinets add subtle accent lights. Use sheen to your advantage. 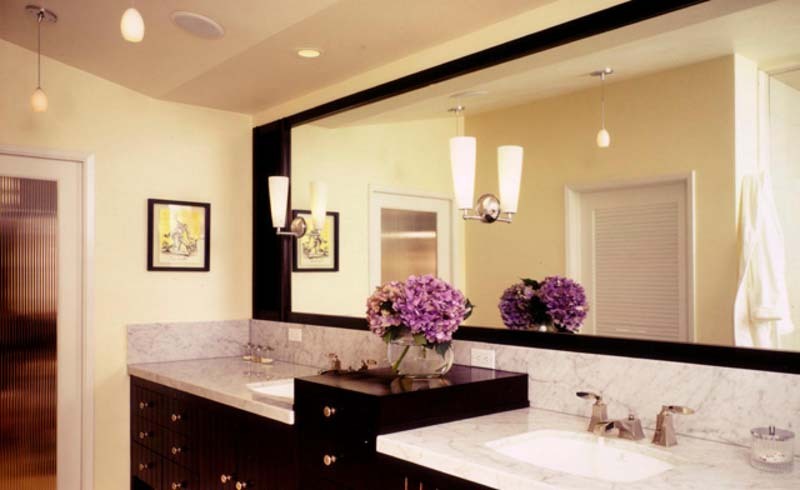 Metals and mirrors work in tandem to act as reflective surfaces in space-strapped bathrooms.